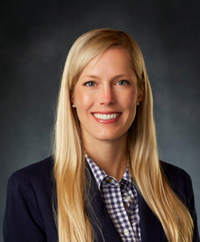 Columbia, S.C. – Jill Armbruster, director of marketing for UCI Medical Affiliates, has been named to the 2015 Class of 20 Under 40 by The State newspaper. Each year, the paper names 20 young professionals it considers rising-stars in the region for their professional accolades and commitment to community involvement. Armbuster has been with UCI Medical for nearly three years, and is responsible for a team that handles the advertising and brand management, PR and community outreach efforts for the UCI Medical family of companies. UCI Medical is the non-medical management company for all fifty-two Doctors Care urgent care centers, twenty-two Progressive Physical Therapy locations, and the Doctors Wellness Center. “We are very proud of Jill. Since she began working here at UCI a couple of years ago, she has been a spark plug of marketing ideas. With Jill’s marketing acumen UCI’s brands are now utilizing multiple channels and venues,” said David Boucher, president and chief operating officer of UCI Medical Affiliates. Before joining UCI Medical, Armbruster worked in the Corporate Marketing Communications department of BlueCross BlueShield of South Carolina. Prior to that, she served as marketing coordinator at The Boudreaux Group, and was an instructional writer with Palmetto GBA. Armbruster is on the current board of directors for Salute from the Shore, a non-profit organization that organizes a state-wide fly-by each Independence Day to honor and pay tribute to the state’s active and retired military personnel. And she has served on past board of directors for the American Advertising Federation Midlands Chapter, the Cultural Council of Richland and Lexington Counties, and the Contemporaries of the Columbia Museum of Art. About UCI Medical Affiliates: UCI Medical Affiliates is the nonmedical management company that provides support to Doctors Care, Progressive Physical Therapy, and Doctors Wellness Center. Doctors Care has 51 locations in South Carolina and one in Tennessee, and offers family and urgent care services including on-site X-ray and labs. For more information, please visit UCImedInc.com.